This post proves even when you are scared to do something, most if not every time things will be okay and super fun. I met this precious guy during my Los Angeles trip and we hit it off. He invited me to come to Cabo San Lucas with him and his friends for a week. I only knew this guy for 3 days but something told me, "This is your chance, make the leap." Now as this trip is coming to an end, I have met an amazing man who I'm so glad I've had the chance to experience this trip with. I also made two great friends who I will see again when they visit New York City. So, it won't hurt to do some crazy things in your life, your friends and family probably won't understand but they don't need too. Do what feels right for you and they will see why you did it. Now onto things we did here in Cabo. First, its a great idea to rent a car for the time you are here because its a bit difficult to get around otherwise. Its a lot cheaper than taking cabs everywhere too. The first or second night we were here we went to this beautiful chill outdoor restaurant called Tequila. I highly recommend you go here, very reasonable pricing and they use fresh organic ingredients from a farm. 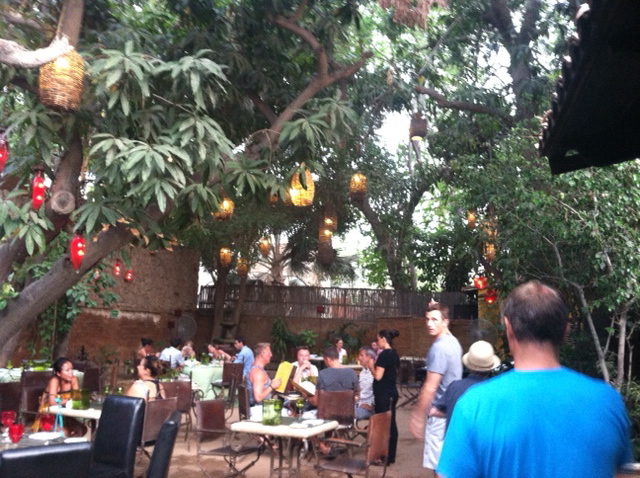 Plus I love the decor, it has the cutest lanterns and chairs. Its a perfect idea for a romantic night out. We stayed at The Grand Regina Resort, which is absolutely gorgeous. Its more private because the people I was here with have a timeshare here but its worth looking into! Plus the view from the room never gets old. The beaches are so beautiful here, so definitely take advantage of it. And for those who are into surfing there are some good surf spots like Zippers or head over to the East Cape. 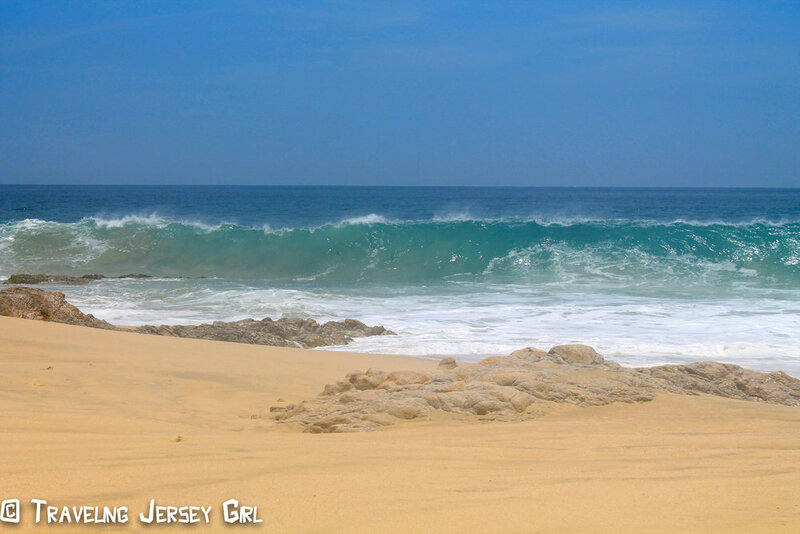 For us ladies, there's plenty of little shops in the main square of Cabo. But a good tip to use, Mexicans are quite the hustlers especially being a tourist. They rack up the prices but you can hustle them down, a lot. I wanted to buy a typical cowboy hat and they were trying to charge me 28$USD but I said no, I only have 15$ on me. It took some convincing on her part but I eventually got her to give it to me for that price. I did the same thing with a lady who wanted to charge me 40$USD for a poncho and I got it for 10$USD. Maybe its being from NYC and having to do that all the time but its a good skill to have. Don't be afraid to use it. For some money saving tips, if your hotel has a kitchen, USE IT! Go to the grocery store and get local food to stock up for the week. We saved plenty of money with cooking at home and buying our own alcohol from the store. But if and when you go to the grocery store, the people who bag the food for you usually do not get paid so tips are very much welcomed. I was only told this after the fact, but its good to know. Another night, which probably was my favorite because it was such a cute romantic spot to go out for dinner. It was called Baja Cantina Beach Restaurant. The tables are right on the sand and at the water's edge. Perfect second romantic idea! The food and drinks were really good too. Another great spot where we went to lunch with another couple who were expats in Mexico. 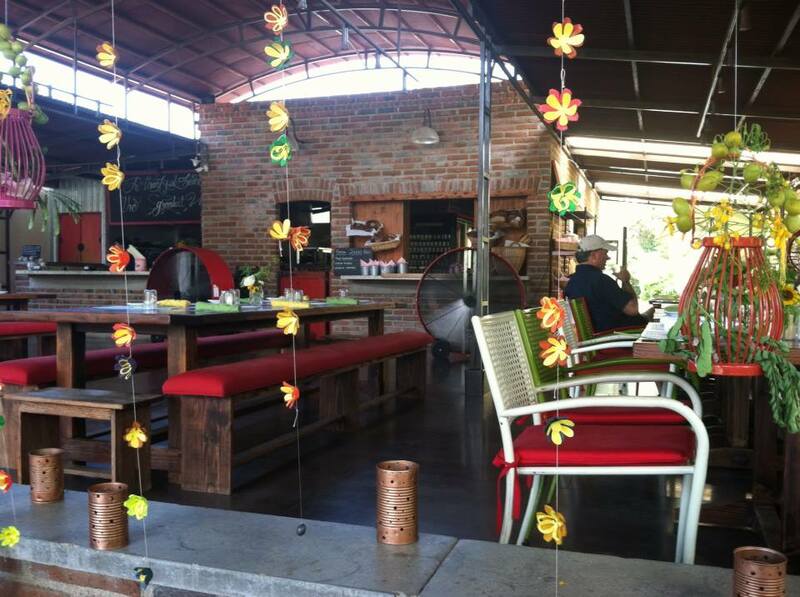 Its called Flora's Field Kitchen which uses ingredients from their organic farm. Its outdoors and the farm is beautiful. It was extremely hot that day, so I was dying but nothing like a lavender martini to solve the problem. Mexico was great, I'm really glad I went there. I totally believe the most spontaneous trips turn out to be the best ones. So, next time you have an opportunity to go somewhere on a whim, do it!